The Tik Tok singer has been embroiled in a sexual assault legal battle with mentor and producer Dr. Luke for quite some time and last month (Feb16), a judge denied her bid to walk away from her recording contract with Luke's Kemosabe Records and parent company Sony Music. After her court loss, the Grammy Award-winning DJ volunteered to hit the studio with Kesha. "very very sorry to hear about the whole situation," he wrote on Twitter on 22 February (16). "I'll be happy to produce a song for you if you want my help". Now, in an interview with Entertainment Tonight, Zedd confirms it is likely they'll be creating music together very soon. "Her team actually hit us back confirming that I was serious about it, which is really cool," he shares. "I'm obviously very serious about it, so maybe something will happen. Maybe there's something I can do. Maybe we can do some music. Nothing I can say right now, but it would be cool. "All I know is that she's in a very rough position and if there's anything I can ever do to help I'll always be happy to do that." 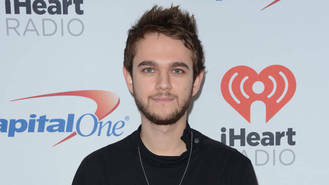 Zedd has not worked with Kesha before and he is excited about the prospect of a collaboration. "I just read an article about (the case), literally right before I made the tweet because I didn't know her personally," he explains. "I thought sending a tweet was kind of the best way to get in touch with her. "The only thing I can really do to help is produce songs and that's what I offered."